At the tail end of February, the opportunity to tag along on a quick trip to Puerto Rico came about and upon realizing there was an exciting project in the making I jumped right on it. Aside from a wedding on a beautiful beach on the other side of the island that we never left during the three day event, I’d never effectively been to Puerto Rico. This trip was to San Juan, specifically Condado, a strip of coast on the Northern side of the island just East of Old San Juan, and I signed up knowing I’d be on my own a good deal, will Paul committed to work obligations during the two days we’d be there. I decided to take on a challenge of finding healthy & delicious food from as many sources as I could find, while also getting in lots of movement, if not formal workouts. Leaving for airport, all l I knew was that you can Stand-Up Paddle Board in the Condado Lagoon. I did that and much more, and am excited to share my findings below. If you happen to be reading this as you are scrambling to pack for a last minute trip yourself, and would like to skip to the shorthand, you’ll find a Trip Roundup at the end of the post. We took an after-work flight down on Wednesday and arrived at 1:30 am-ish – great for optimizing the work day, a little tough first thing the next morning. What’s quite helpful in that department though is there is absolutely excellent coffee to be found virtually everywhere. On Thursday morning after a bit more java than usual it was first things first, I needed two wheels to maximize the time (and generally feel like myself as I set out to explore). In fact it turns out that there is a serious cycling community throughout Puerto Rico! But because my goal was to keep active throughout the day but with room for stops and exploring, I simply needed a reliable set up. Hopefully I’ll go back and learn more about cycling on the island. Any hotel in Condado should be able to help with a bike rental – the concierge in mine called a local shop and the bike was delivered 10 minutes later. This one cost $20 per day, plus a $10 deposit for the lock. (Make sure to confirm that a lock is provided with the bike.) After learning that a one-way cab ride to Old San Juan is about $15, this was a no-brainer even if biking didn’t feel more normal to me than walking. In search first of the Paddle Boarding I pedaled West from the hotel on Ashford Avenue (on a well marked bike path I must add) essentially to the base of the bridge that connects to Old San Juan. The smallest distraction could cause you to miss the entire operation – from the street only a small portion of the lagoon is visible. That said, hospitality and spirit at Velauno Stand-Up Paddle Boarding was front and center and Lee, the owner, couldn’t have been more warm and welcoming as I checked in. 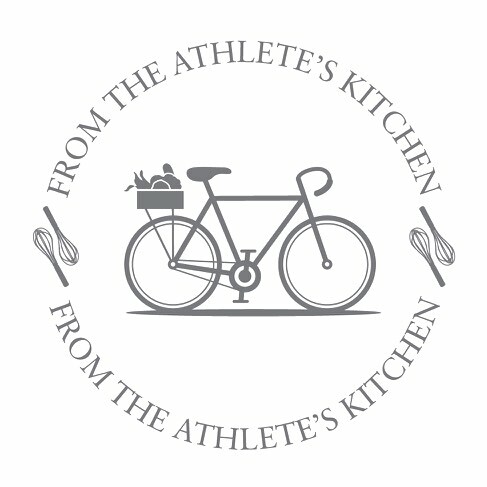 When I gave him a From the Athlete’s Kitchen card, he revealed that he was a former semi-pro basketball player and now just generally stays active running the business. As Lee helped me stow my bag and walked me to the water’s edge, he spoke excitedly about his associate, Jow, a B-Boy, Fitness Competitor and Trainer (plus Paddle Board teacher/lagoon lifeguard). Jow told me about dance competitions he attends throughout the States, plus showed me some of the clients he’s trained. After Jow helped me pick out a board and gave me a Stand Up .101 (it’s very beginner friendly) I was off on the water. It wasn’t long before I heard a loud snnnuph and turning towards the sound saw a huge set of nostrils… It was a manatee swimming along beside me! As startled as I was by this docile giant, this surprise paled to spotting a ray leap without warning completely into the air, long tail and all, and smack back down in a matter of seconds. Finally, as I approached an old piling towards the far end of the lagoon, a huge Great Blue Heron took flight from the small pier and soared over the water. These unexpected creatures reminded me not judge a book by its cover, or in this case a body of water by its rather urban surroundings – The Condado Lagoon is actually a wildlife preserve that’s full of welcome surprises, aka friendly wildlife! As I circled the lagoon, I was passed by a woman stand-up paddling so fast her board created a mid-sized wake. Is speed paddle-boarding a thing? I guess why not! When I returned to the beach, Lee introduced me to a local triathlete using the lagoon as training grounds for his next Ironman, right in San Juan in fact, on March 15th! This was a gentleman who lost 60 pounds by changing his lifestyle and taking up triathalon – he showed me a few before and after photos and shared that portion control vs restricting foods is a key component for maintaining goal weight. I could’t agree with that approach more of course! The quick but rich visit at the Condado Lagoon was the perfect start to the day – to immediately meet a handful of locals who were so excited to share different ways to stay active and have fun in the process, all while trying a new activity out in the sunshine myself, couldn’t have been a more welcoming beginning. Armed with a lunch recommendation from Jow – St. Germain, a healthy restaurant where his girlfriend Carla happens to work – I set off over the Ashford Avenue Bridge towards Old San Juan, curious what I’d see and who I’d meet next. Approaching the heart of the old city, I actually panicked momentarily – every street seemed so full of color and charm, how could I possibly choose the right direction to follow? But the answer came quickly – it doesn’t matter, they’re all going to be good. And in two days, there’s time to see almost everything – if you’ve got the right set up. For this reason I can’t overstate the benefit of having a bike – there is a lot to take in and somehow riding through seems to accelerates the integration. I’ll grant that this may seem a little unconventional, especially given that the majority of the streets are cobblestone. Believe it or not though, these cobbles are particularly ridable. They are smaller than others, very well set in the ground, and in good condition. Also, they are treated with blue glaze! My guess is that the glaze helps keep them in good condition in the tropical climate, again making them ridable. The surface is even enough for wheels and even flip-flops! (Okay the footwear may not be as advisable but it was snowing in New York and I had to.) In fact honestly forgot I was riding on cobbles as I first darted around the center and then cruised along the quiet outskirts of the old city. Plus, Old San Juan is hilly. Charging up the hills on a one-speed gets your heart rate up pretty quickly, and because you’ve warmed up by just getting there, you’re ready for them. What’s better than getting in some solid movement *and* checking out a new place? As I made my way towards lunch, I stopped to at an eye-catching gallery called The Butterfly People. The gallery is filled with the most gorgeous and varied displays of farm-raised butterflies one can possibly imagine. (They don’t allow photos or videos.) The business is family-run, with a lab upstairs for preserving and encasing the butterflies. The couple who are the owners stopped everything to share suggestions for highlights in Old San Juan, including lunch at St. Germain! In fact Cirene, the wife, pulled out a map and several cards to call out the must-do’s around town – I couldn’t help but smile when I realized that meeting one welcoming local after another was going to be the key to the success of this project. When I got to St. Germain, Carla was waiting (thanks Jow!). She showed me around the ground floor where sandwiches, salads and fresh juices are served, and then brought me up to the second floor, where cocktails, smaller sandwiches and tapas are offered. I stayed in the Mezzanine mainly for the breeze and there ordered a local fish sandwich (delicious, fresh & not fried) which I chased with water, for now. I had a ways to go on the bike and to be honest I wanted to save the calories for more stops! Back downstairs after lunch, I tried Watermelon Juice for dessert and chatted with Carla. She proudly explained that Old San Juan has everything one could want out of a city with the exception of a movie theatre, due to the difficulty of parking! I loved sensing her happiness in sharing the love of her home. In fact, in case you hadn’t noticed, there is a very alluring trend taking shape here… Carla suggested a stop at Fort San Felipe and I headed out in that general direction, meandering down sleepy San Sebastian and around the smaller side streets next to the San Juan Museum. There, yet another friendly local pointed me towards Casa Blanca, which is at the end of San Sebastian and on the way to the Fort. Riding down San Sebastian Street and into the courtyard of Casa Blanca was wonderful in many ways, and particularly surprising in one – the air felt comfortably cool. It was not actually cool of course, but the island breeze carried magic. Approaching Casa Blanca felt like stepping into an Architectural Digest shoot, and fittingly so – the compound was built to be the home of the first Governor of Puerto Rico, Ponce de Leon, in the 1521. (Sadly he never made it, having died in an expedition to Florida, but his family and descendants lived there for centuries.) Today it is free to visitors, even though there are incredibly knowledgeable and helpful guides present to explain the history and answer questions. I loved checking out the pots and pans showcased in the kitchen because I love proof that when form follows function, little changes, even over centuries. The museum sits at the mouth of the Bay of San Juan – breezes and views are the reward for the walk through the surrounding gardens. Pedaling around the corner to Castillo San Felipe, I was again singing the bike’s praises – see that path to the left of the grass above? It’s about 3/4 of a mile, with a gentle but steady slope up to the Fort. Which was ideal when it was time to exit and coast effortlessly back into the city. I loved visiting this wide open area outside the narrow streets, and with all due respect to the historical significance of the fortress, quickly came to see it as the Central Park of Old San Juan – that is a good thing! The sprawling lawn is ideal for picnics and thanks to the ocean wind, kite flying! I wish I’d been there on a weekend to see that local pastime. I stayed on the lawn long enough to see an Osprey fly by with a fish in her talons and took that as a sign that it was time to keep hunting. Which is when I headed to the culinary and aesthetic prize of this outing – Verde Mesa. The Farm to Table restaurant with pescatarian and vegetarian dishes was a delight from top to bottom – the decor, the staff, the location and what I tasted. Nestled into a block on Tetuan Street that overlooks the San Juan Bay, Verde Mesa was appealing from afar and only got better. Not realizing that it is are open for lunch, I’d missed it by the time I got there, but hostess Teresa welcomed me right in and I did get to try one of their Botanical Bar specialities – the Green Infusion. Made with Basil, Lemon & Cucumber, this drink tasted phenomenal and was outstanding for a mid-afternoon refreshment. What made it even better was knowing that the ingredients (for drinks as well as many menu items) are locally sourced from a relatively newly established Farmer’s Market in Old San Juan, where several small farms are represented. It was a matter of minutes before I knew that I’d be bringing Paul back to see my new favorite place, if only to sample more drinks! We did stop back on Friday evening to taste cocktail versions of the offerings at the Botanical Bar – both the Strawberry Cooler and a drink special available that evening were perfect. Because we had prior plans for both nights of the trip, we unfortunately didn’t try any of Verde Mesa’s food! I can’t believe it, but the good news is that this means we have to go back. I wanted to include the lunch and dinner specials here however, to provide a sense what’s offered. Ingredients not local to Puerto Rico are grown or raised in a sustainable manner. As a farm to table restaurant, Verde Mesa is a bit of a vanguard in Puerto Rico, which makes it an exciting on top of enchanting stop. I’m ready to try the entire menu! So back to Thursday… can you believe it’s not even 5pm yet? There is a lot to do between Condado and Old San Juan! Next up I was eager to try another recommendation called Birra & Empanadas, which I’d been told features small baked empanadas that are a perfect snack. I rode over and strolled in. The empanadas’ super light crust makes them seem like they’re all filling. I had a vegetable one with the house sauce, chorizo and chicken are also available. And at last, I went ahead and ordered a cold beer – finally, it was the right call. The bar was a little empty when I walked in at around 5:00, but it wasn’t long before I had a snacking companion who chatted about surfing trips with his friends from town. At the end of the visit, the timing was just right to pedal back to the hotel during sunset. Friday morning, it was right back on the bike and off again to Old San Juan, Part Two – I knew there was still uncovered ground and was eager to have a through look around. This time I traced the outskirts of the old city to the South, in doing so riding along San Juan Bay. This route led me to Raices Fountain, which marks the beginning of a stellar (if short) running path along the bay. On the path is the San Juan Gate, the last operational gate of five that leads in from outside the walled city. Through the San Juan Gate are some of my favorite streets, plus the small but captivating Cathedral Plaza. More hills await here and you have to walk a bike on the path leading to the gate, so let’s just say my off-the-couch ascent of the steep tree-lined street was less than graceful. To the North of Cathedral Square lies a grand staircase called Escalinata De Las Monjas, or, Staircase of the Nuns, aptly named as it sits next to a former convent turned boutique hotel. I locked up the bike and marched up the steps to find a perfectly beautiful micro-hood whose details held me captive. Circling around Sol Street onto Las Monjas, and back into the square, this was the perfect stroll through a not-a-tourist in sight slice of Old San Juan! After all this discovery, I was ready to eat yet again and rode down Santo Cristo back to Tetuan to check out the last stop on this trip’s local/healthy food tour, Señor Paleta. I thought it was a good sign that when I arrived a group led by a man sporting a Flavors of Old San Juan polo shirt was departing. Señor Paleta is a popsicle shop! They too use local ingredients whenever possible, and mango is a house speciality. The pops are made freshly throughout the day, and both gelato and sorbet options are available. I know my way around ice cream and ice cream shops pretty well and I can say with no hesitation that Señor Paleta’s is right up there with the best of them. If you’re wondering why I didn’t feature a product close up it’s cause, umm…. I dropped it! Again the staff was excited to share the details about the product and the local aspect of the ingredients. All told, this trip was a great opportunity to have kept active while exploring a new place and sampling great food – I met that objective in spades, and I hope at least some of the information is helpful and/or interesting. But the whole of the experience is greater than the sum of its parts. There is nothing more compelling than talking to someone with genuine pride, excitement and generosity to get you excited about a new place, and it was the local people who made this venture a memorable success. St. Germain & The Mezzanine at St. Germain: 156 Sol Street, at the Corner of Sol & Cruz Streets. Open for lunch & dinner, brunch on the weekends. The al fresco bar on the third floor opens at 4pm. Casa Blanca: at the Western end of St. Sebastian Street (street dead-ends into Casa Blanca). Castillo San Felipe (Fort San Felipe): At the Northern Tip of Old San Juan, where Del Morro and Norzagaray Streets meet. From the exit of Casa Blanca, take a left onto Del Morro and you’ll see the lawn surrounding the Fort in a matter of seconds. Verde Mesa: 107 Tetuan Street (Between Santo Cristo & San Jose). Open for lunch from Noon – 3:00 pm, Dinner, 6:00pm – 10:00pm. Reservations needed for dinner, 787-390-4662. If you are in-town on the weekend, the Farmer’s Market is held on Saturday in the courtyard of the San Juan Museum, and opens at 9:00 am. Birra & Empanadas: 150 Cruz Street (Between Luna & San Francisco). Typically opens around 2pm, open late. San Juan Gate & Cathedral Plaza: The San Juan Gate and coastal path is approached via the walkway starting at the Raices Fountain, at the end of Paseo De La Princesa, or *just* North of where San Francisco Street meets Recinto Oeste Street. Cathedral Plaza, Escalinata De Las Monjas and surrounding streets are met by taking San Juan Street after walking through the gate, or by taking Santo Cristo Street to the Cathedral. Senor Paleta: 153 Tetuan Street (Between Cruz & San Jose).